Brother Larry Schatz, FSC, Visitor of the Midwest District, has been appointed to serve a second, four-year term following the completion of his current term on June 30, 2015. 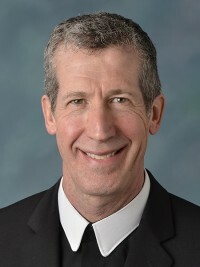 Brother Larry was appointed by Superior General Brother Robert Schieler, FSC, following recent balloting by the Brothers of the District to nominate a Brother for the position. His new term will begin on July 1, 2015 and extend through June 30, 2019. Since its formation in 1995 when three former Districts were combined, the Midwest District has had two previous Visitors: Brother Thomas Johnson, FSC, and Brother Frank Carr, FSC. Brother Larry previously served one term as Auxiliary Visitor for the District.